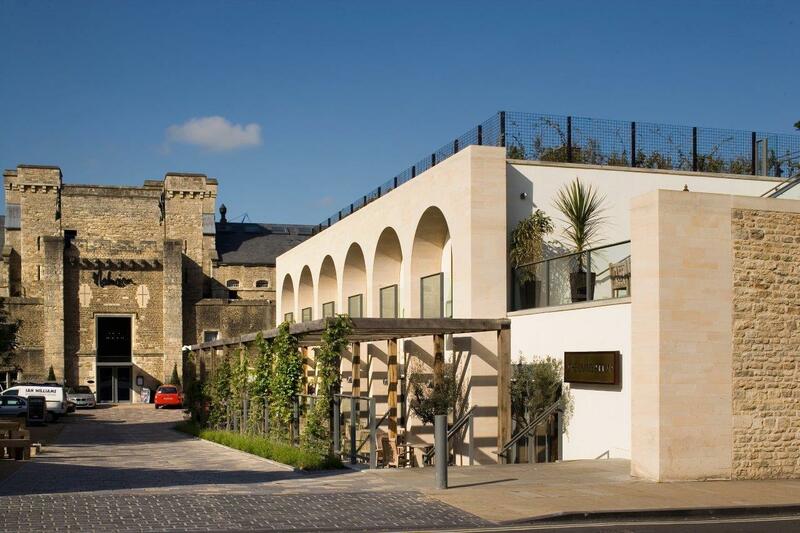 Oxford Castle: Heritage and redevelopment hand in hand as Oxford’s town history is brought to life as a new commercial quarter for Oxford. Oxford Castle has more than 1,000 years of history to tell from its Saxon beginnings, through the Norman Castle and prison, its 18th – 19th century prison development to its closure in 1987. Today Oxford Castle is open and welcoming, a heritage site with significant buzz as it plays its part in Oxford’s social and cultural heartbeat. Surrounded by prison walls, the five-acre site is now home to great restaurants, bars, a boutique hotel, smart residential apartments, an education centre and visitor attraction and lots of green space to enjoy for theatre cinema and other events. Stop Press: Early in 2016 the site was sold by the original developer to the Westgate Alliance who have recently re-opened the Westgate shopping centre and have plans for the Castle Quarter - watch this space. The full report of the Archaeological Investigations is due to be published in 2018. OPT is delighted to have secured the most important historic site in the city outside the University, providing public access, interpretation and education to all, raising the profile of Oxford's town history, a place of belonging and of which local people can be proud, and encouraging an interest in, and understanding of, the site and the wider city. This is the largest buildings scheme OPT has ever been involved in and we are proud to have helped make it happen as one of the three key partners and the considerable support of the Heritage Lottery Fund who provided a grant to OPT of over £4million. We continue to own, on long lease, the historic heart of the site and St. George’s Tower, the remains of the Norman castle and other historic buildings and look after Oxford Castle & Prison visitor attraction with our partners Continuum who run this for us. Ten years on the regeneration of the Oxford Castle Quarter remains an exemplar of successful partnership between the public, private and third sector (OPT) which allowed careful restoration, imaginative planning and proactive community engagement to come together in a positive outcome. Conservation, heritage and education. Unlocking Oxford Castle’s past. Need more? If you would like more information about the Oxford Castle Quarter please contact Oxford Castle & Prison or contact us direct. Support Oxford. If like us you love Oxford, please support our work.